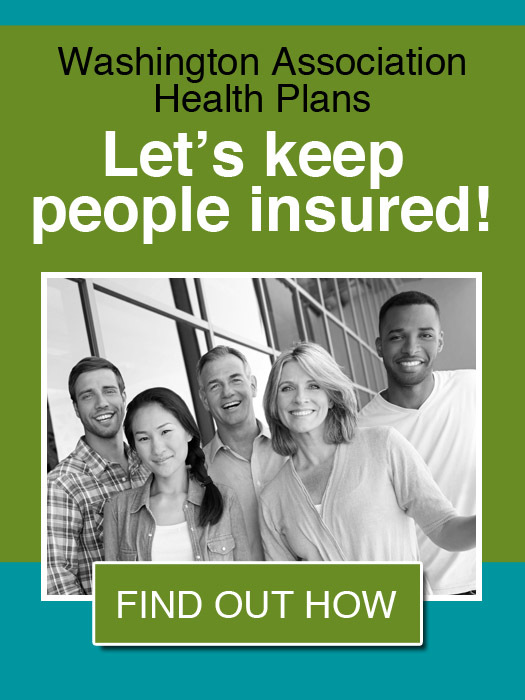 Collectively, our organizations have been providing Association Health Plans (AHPs) for more than 60 years. In the State of Washington we have provided high-quality health care coverage to hundreds of thousands of people employed by our small companies. And, since the passage of the Affordable Care Act in 2010, Washington’s AHPs have contributed to achieving the goal of making sure Washington’s small employers have the quality, affordable coverage they need for their employees. While other states appear to value of AHPs and the role they play for small businesses, Washington State Commissioner Mike Kriedler appears to be on track to dismantle them. A key goal of health reform is to make sure people have access to the coverage they need and keeping people insured—which is exactly what AHPs currently offer to small businesses. If you agree that Insurance Commissioner Kreidler should not decide what health care options you can have, and if you like your plan and want to keep it, we encourage you to contact your legislators today to express your views. Tell them you like your AHP coverage and you want to keep it.